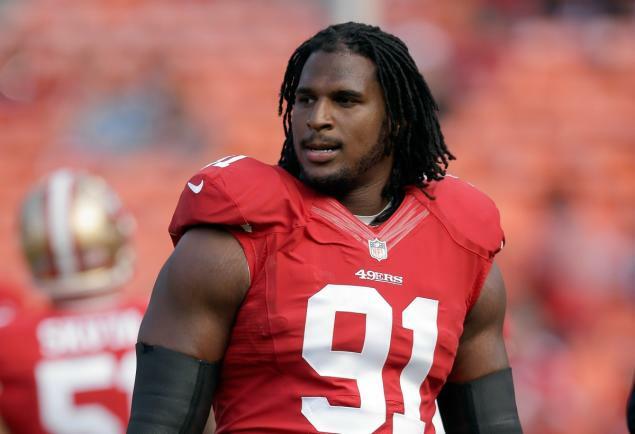 Ray McDonald as a San Francisco 49er. The highly-thought-of defensive end became a source of controversy in 2014 due to multiple accusations of domestic violence and sexual assault against him. My first thoughts after finding out the Chicago Bears were going to sign former San Francisco 49er defensive end Ray McDonald, accompanied with a knowing moan: It had crossed my mind after the Bears signed former 49ers defensive coordinator Vic Fangio to do the same job here that McDonald would be another acquisition for the team this off-season. The Bears are switching from a 4-3 scheme to a 3-4 scheme and they needed to upgrade the front seven to fit Fangio’s vision, but this upgrade came with a shaky recent past. Let’s get to the nitty gritty — the reason McDonald was cut last season from the team that drafted him in 2007, the only team he played for in the NFL, wasn’t due to his on field performance, it was due to his off the field issues, which were piling up. McDonald was arrested last August for suspicion of committing domestic violence against his fiancée. The Santa Clara district attorney’s office didn’t file charges citing conflicting versions of the incident on top of the authorities not receiving much cooperation from McDonald’s fiancée. In spite of not being formally charged with a crime, the 49ers cut ties with McDonald after learning he was under investigation by the police for suspicion of sexual assault. 49ers General Manager Trent Baalke cited poor decision making as the reason for McDonalds release. Sexual assault is a very touchy subject, I place it up there with murder as far as the worst of the worst transgressions one person can commit against another. Its easy to take a general, visceral reaction from headlines and SportsCenter segments in order to fall clearly on one side of the argument for or against signing a player with a troubled past but please bear with me as I wrap my mind around the specific incident of accused sexual assault McDonald embroiled himself in since it is the main reason there is a debate on whether or not the Bears be involved with McDonald. According to reports of the evening at hand, McDonald’s accuser went out with some friends, had drinks at a bar felt dizzy and asked to go home. Instead, she and her friends let her to go to McDonald’s home. While at McDonald’s home the accuser hit her head near his pool, she states she does not remember what happened the remainder of the evening, though she spent the night and most of the next day with McDonald drinking. Outside of the compounding of one bad decision into another, the public still doesn’t know what exactly happened that night. Santa Clara’s district attorney’s office could still press charges and meanwhile McDonald plans to sue his accuser for defamation. The question now is should the Chicago Bears have signed him? The Bears, as just about any NFL franchise does, models itself as a professional sports organization with morals. Now I could list a number of Bears players past and present that at one point have clearly walked outside that model. Look, they just traded away Brandon Marshall, and we all know of the domestic violence incidents in Marshall’s past. It could be said that McDonald’s signing also signifies that the Bears traded Marshall solely due to locker room issues and not his past rap sheet. Is it the Bears job to only sign choirboys? Are they in the community relation business? No, they’re in the controlled combat business. By no means am I saying this signing was the right thing to do. In fact, I wouldn’t have done it at all. 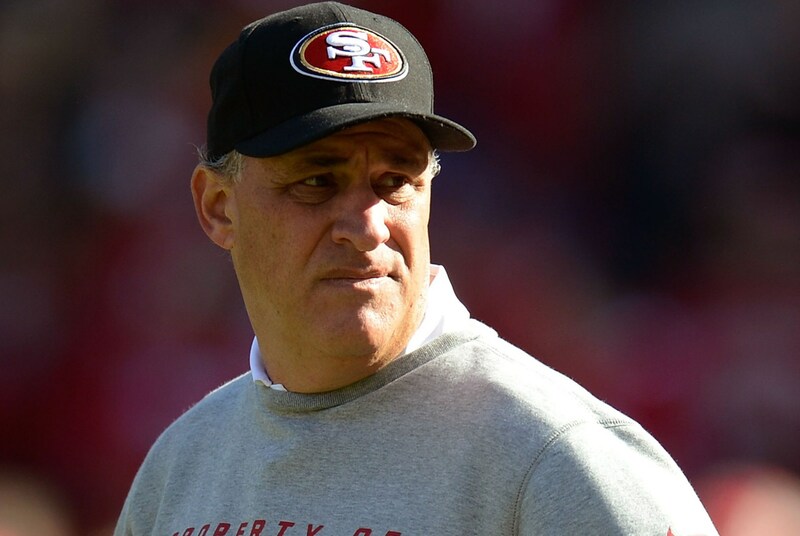 Former 49ers defensive coordinator, and current Bears defensive coordinator, Vic Fangio. Not only charged with breathing life into the franchise’s lifeless defenders, he now has to help refocus Ray McDonald too. Still, with Fangio on board with this franchise, I have to say the acquisition makes a lot of sense. Fangio should know as well as anyone how deep this McDonald hole could be. I would think he vouched for McDonald to George McCaskey, maybe putting his job at an early risk in doing so. One would think he doesn’t want to come off like a fool to his new bosses, not over a guy he could easily have put in his rear view. The Bears are switching schemes and McDonald is a 5-technique who knows how Fangio wants his system played, but was he the only option at his position? For his price and at this point time I’d have to say yes. McDonald has graded out as a top-12 3-4 defensive end three times in the last four years — he isn’t a sack master, but he is a real good run stopper. I would agree with you, but I stopped looking for sports franchises to lead with their morals years ago and to do the morally correct thing over the competitively correct thing is only something a franchise would do only in the most pressing of circumstances (Ray Rice and up). McDonald hasn’t been charged. Mind you, I feel dirty writing that, but it is still the truth. As of right now Ray McDonald hasn’t run afoul of the law. So given his present standing, shouldn’t he be allowed to ply his trade? Cold, dirty world — the NFL is still the league of Ray Rice, Ben Roethlisberger, Ray McDonald and so many others who’ve done women wrong and barely escaped losing their freedom, though a majority of us would say that is exactly what they deserved. To what extent men like this have learned their lessons is not obvious to us, not to the extent a jail sentence would be. We just have to hope that as each day goes by nothing else is done to make us feel stupid for our collective leniency and if our respective team decides to get in business with a guy like that we walk the continued tightrope of weighing our ideals and morals against the cut and dry, results-based and overall cynical outlook of a League where only winners get the benefit of the doubt.